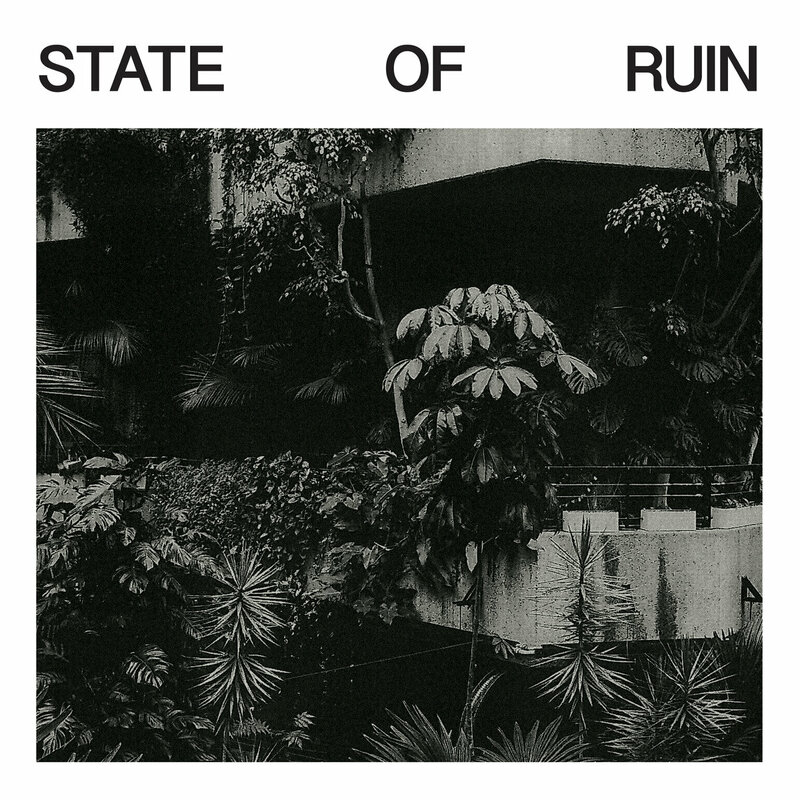 Silk Road Assassins aren’t the first producers to put video games on the same pedestal as trap and grime, but their debut album (State of Ruin, which just dropped on Planet Mu) is more than a mere genre exercise. It’s a fully formed tour de force that casts Tom E. Vercetti, Lovedr0id, and Chemist as co-directors of their own self-contained universe. And thanks to a day spent in the iconic studios of Abbey Road, it literally sounds alive—as moody as it is moving. Hitch a ride on the whole thing below, right alongside an exclusive track-by-track commentary by Lovedr0id…. Much like “Citadel VI” on our previous EP Reflection Spaces, the first track on this project functions as a sort of doorway into the universe in which our music exists. I really like the way that this track eases you into the album and the type of sound design techniques that you can expect to hear throughout. Whilst working on the album we were lucky enough to be offered a day recording at Abbey Road, which was extended to us through Planet Mu. As the day was coming to an end, we decided to really go in and made a dash for some crazy hardware that we wouldn’t get the opportunity to use again. That explains the warped gamelan melody in this track, which was made by running samples through a Roland Re-201 Space Echo and performing the automation live. Kuedo’s always been an important point of reference for the SRA sound. Although our creative voices differ, I think there’s a sense in which the pool of genres that we draw from separately resonates across our music. I personally see this track as a sort of overlapping of our respective loose futuristic universes. 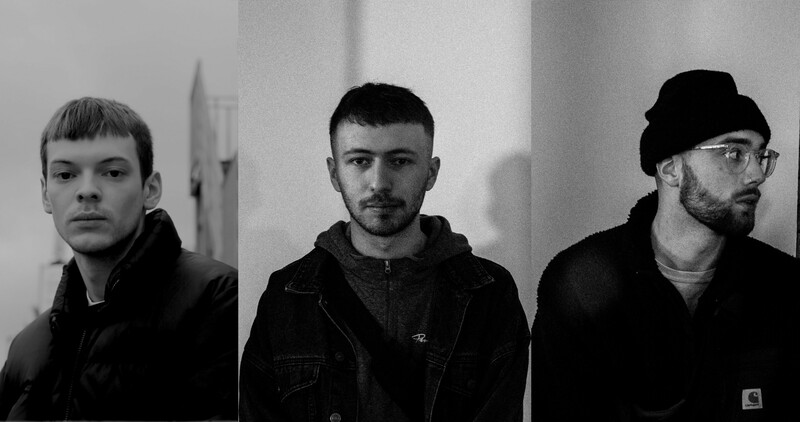 Kuedo was also the person who initially passed our music onto Mike at Planet Mu, so this collaboration holds real sentimental value. The majority of “Armament” was written in one sitting, with very little stylistic alteration after that initial session. Sometimes the mood/vibe of a track is so apparent and direct that it doesn’t really require any chipping away at or reimagining; that was definitely the case with this one. Originally aptly named “Fat One” until the pre-masters were sent off. This is for sure the track that’s evolved the furthest from where it initially started. It’s been through a lot of reiterations—including a beatless reprisal. There’s actually a couple of earlier drafts buried online in some mixes somewhere, which you might be able to find if you look hard enough. The emotive gated pads, however, have remained with this track from the beginning. I consider them to be a throwback to a classic trance breakdown. The reese bass was such an important sound that defined the early SRA palette, but in this project I feel that that it takes more of a backseat to the 808 kick. This track, however, really gives the reese its moment. 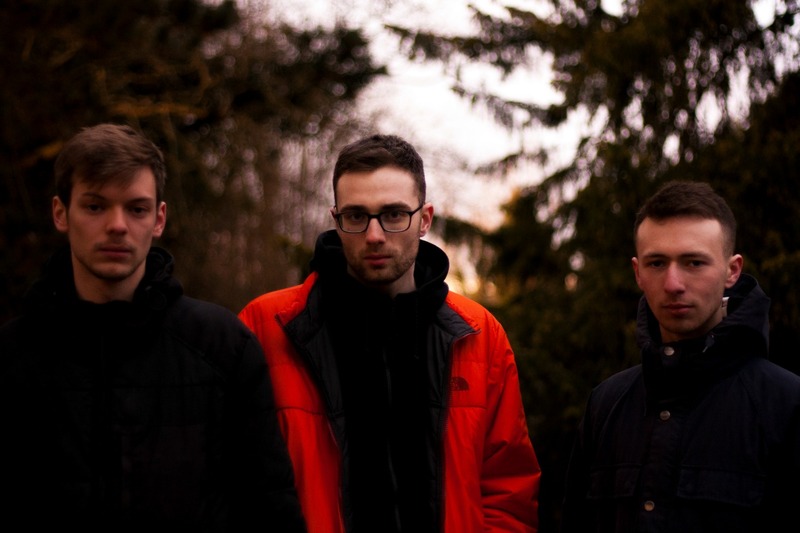 Stylistically influenced by jungle, “Familiars” is a pastiche of the elements of the genre. It pushes one of the fastest BPMs on the album; one of the earlier working versions even had breaks, too. This track is a development of the melodic style of writing that we experimented with on our remix of Mr. Mitch: “VPN,” featuring Palmistry. We exercised some restraint with this one, deciding not to take it down the path of an 808 banger and opting for romantic euphoria rather than aggression. This track started life as a homage to ’80s synth scoring, layering a thick wall of synth pads and evolving them over time using on-the-fly performance automation. This album was written almost entirely in the box, so it’s easy to fall into the trap of lifeless and robotic production. We recorded live automation throughout as a technique to combat this. This track was also initially written at a much faster BPM, but after listening to too much DJ Screw, I decided to slow it down about 60 BPM. This in turn pitched down the track and contributed towards the thick synth texture. This is the most historic track on the album. We started working on it immediately after the release of our debut EP in 2016, back when we were all living in Bath. I see “Bowman” as the bridge, taking us from our older sound back then, to how it has developed here on this album. Our choices of drum/percussion samples have always referenced trap music, but the way that they splinter away through different delays and reverbs, creating a cavernous sense of space, has become an important part of our matured production palette. The language barrier between SRA and WWWINGS (half Russian, half Ukrainian) made this collaboration really interesting because it ended up having a massive influence on the writing process. Not being able to communicate with ease, we ended up passing WWWINGS a selection of SRA-style synth stems, entrusting them with everything that they needed to complete the track without any back and forth. I think that this guided the way that the track develops and passes from a typical SRA synth ballad to the brute force sound design that’s so characteristic of WWWINGS’ production style. R.I.P WWWINGS. Whilst working on the project we toyed with the idea of having vocals on a couple of the tracks. We ultimately decided to keep it instrumental, but couldn’t resist a single release with K9 on this beat; it would have been rude not to! Another thing to note is that we’ve always tried to reward the listener who sits all the way through a track. We try to keep things constantly evolving, sometimes even introducing a new variation in the last few seconds. The ending of “Saint” is really successful in this; these short passages further deepen the dystopian atmosphere that is present throughout State of Ruin. “Feeling Blu” rides the intersection between trap and grime music, demonstrated by the amalgamation of their separate defining elements. The two genres have become closely woven in the last decade, and both seem to be recycling ideas from each other in their respective sounds. 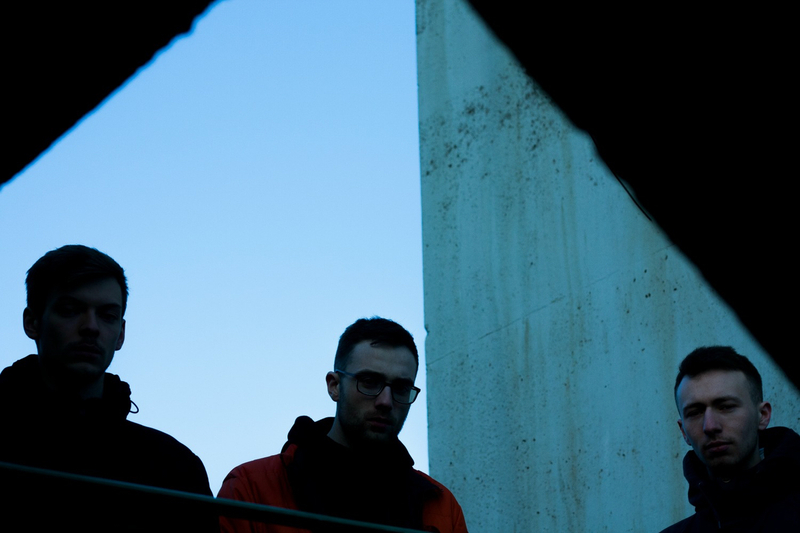 This track greatly represents both of their sonic palettes, such as the sharp grime claps moving with the sliding trap hi-hats and rumbling 808. We’ve always emphasised short melodic breaks and interludes throughout our music, as they contrast with the intensity and aggression of the other passages. The melodic tail of this track, mangled by an intensifying distortion chain, provides a literal demonstration of that duality. The genres that have influenced our style throughout the process have developed in tandem with the project, and presented us with new elements and timbre choices that could be recycled into SRA’s music. This is evident in “Blink,” as the distinct style of Plug 808 that is now popular in hip-hop culture only became a trend after we had begun writing. The way we process our 808s is through a fairly loose chain that differs from song to song, but generally goes through Saturation > Distortion > Limiting/Compression, and then passed onto separate send channels that are more intensely processed. These sends can then be raised or lowered to get the right balance between fundamental and harmonic in the bass.